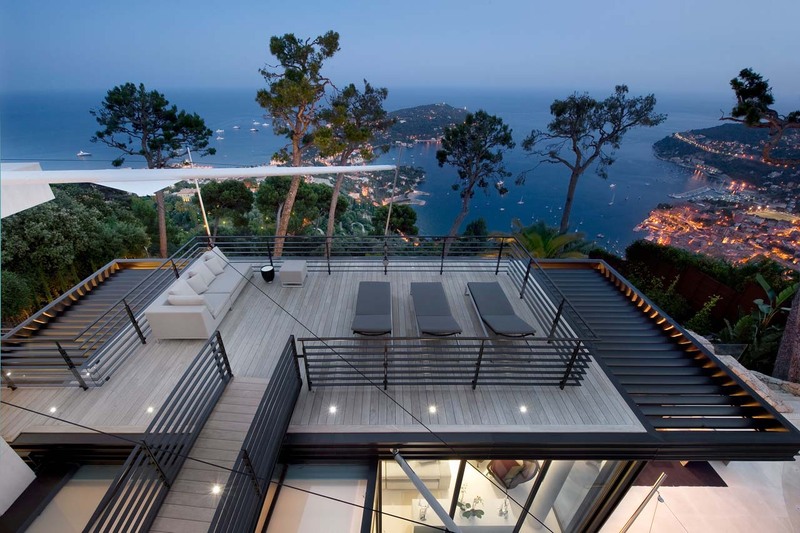 Want a room with a view? 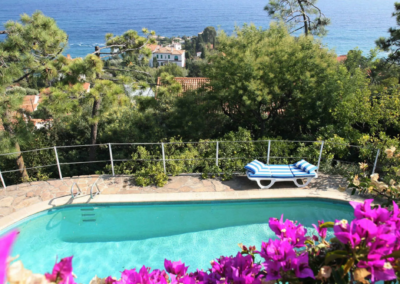 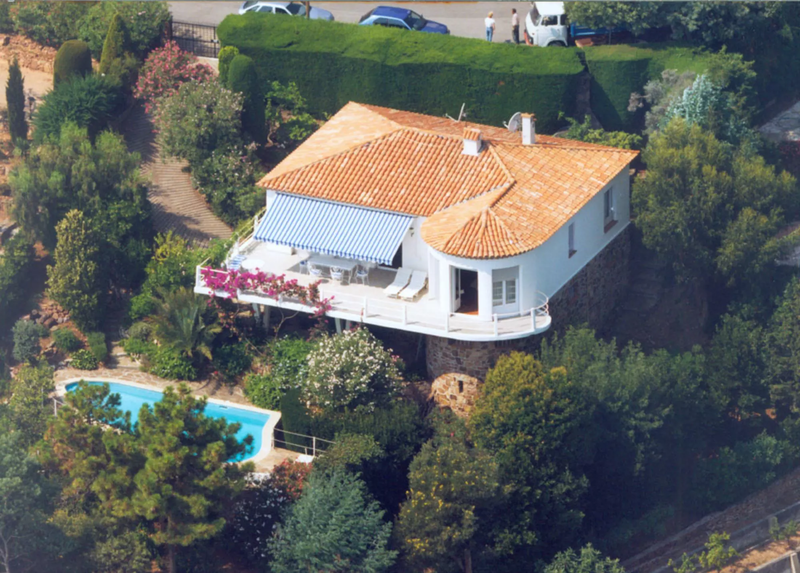 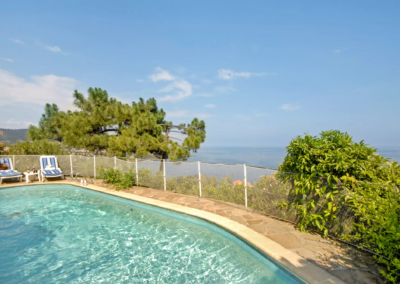 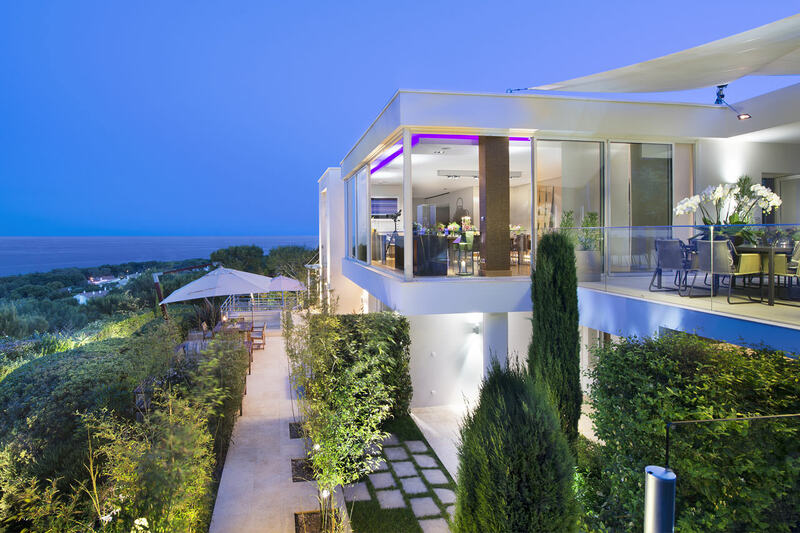 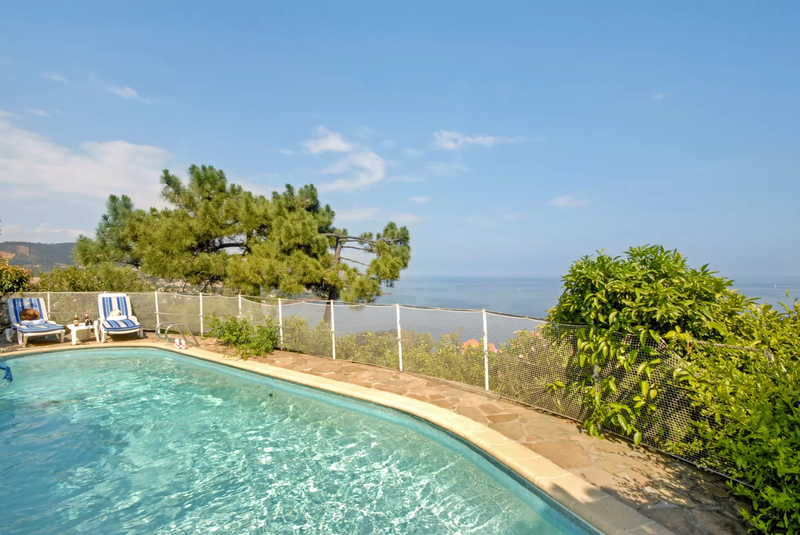 You won’t be disappointed with this stunning sea-view villa near Cannes. 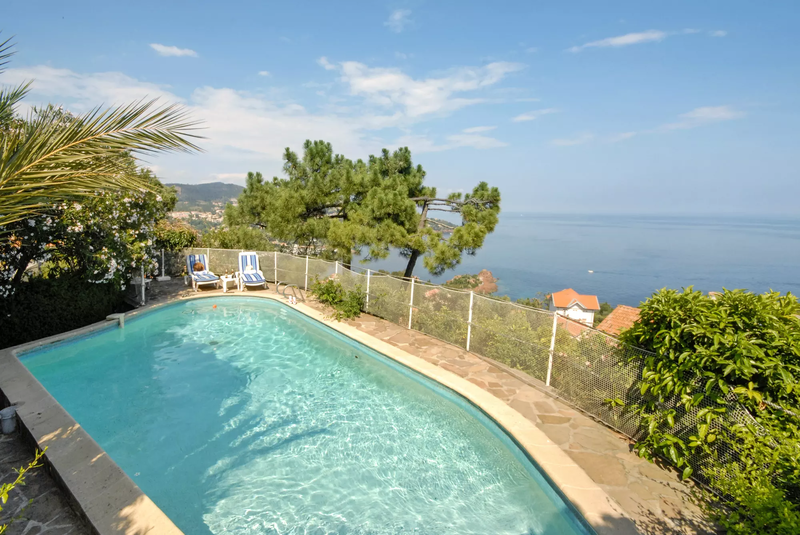 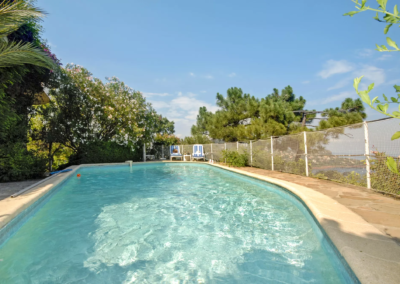 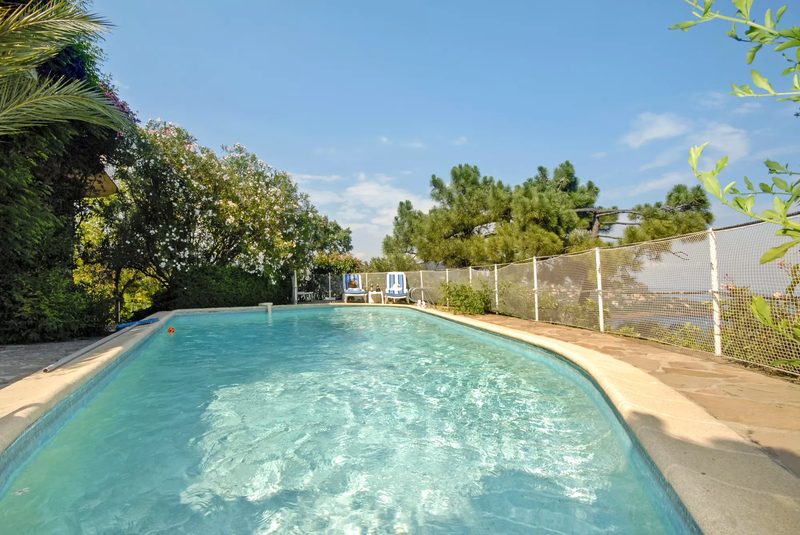 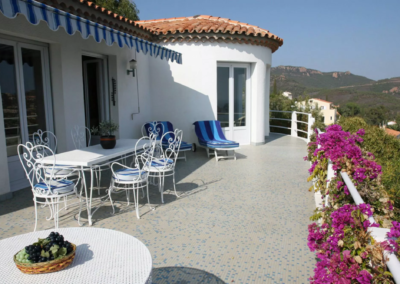 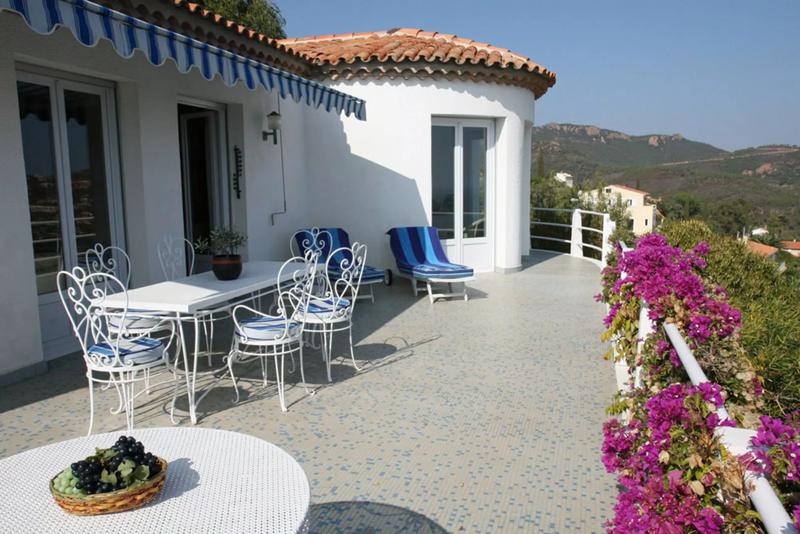 L’Oursin is set in an enviable position on the edge of the Massif de l’Esterel mountains, where spending many lazy hours gazing out over the ocean is a must. Surrounded by mature Mediterranean gardens and nostalgic furnishings, this French Riviera beach villa harks back to a time gone by. 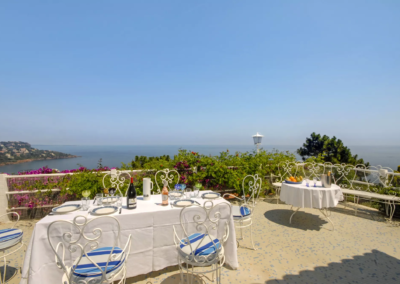 The dining terrace runs the length of the house presenting magnificent views of the sea and coastline, and the nearest beach is just 15 minutes away. 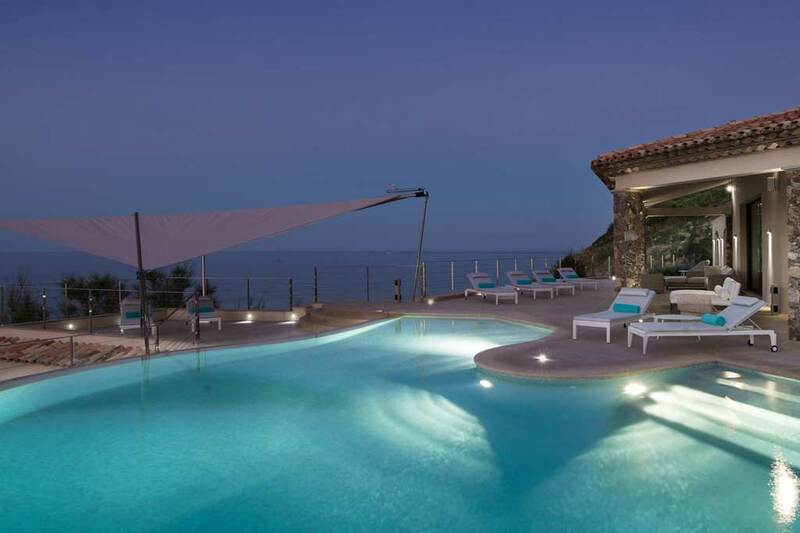 That’s if you can manage to pull yourself away from the pool of course. 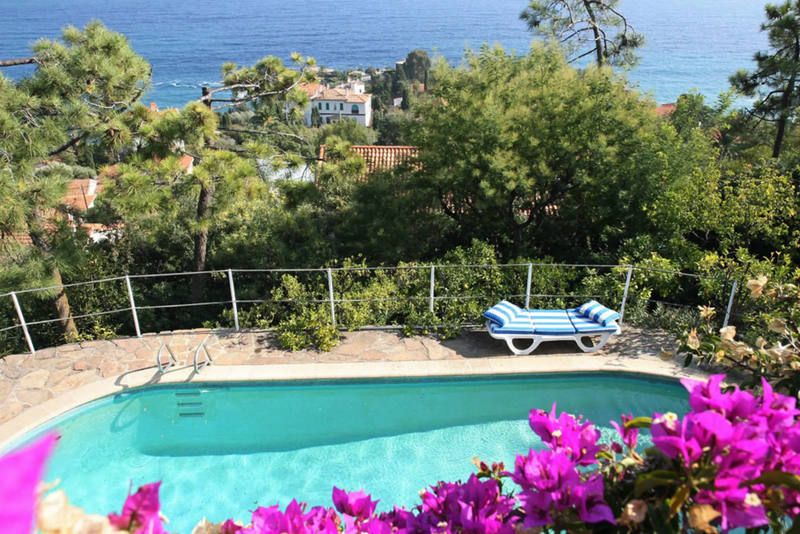 Set amongst exotic hibiscus, palms and classic bougainvilleas, this is a dip you won’t forget in a hurry. 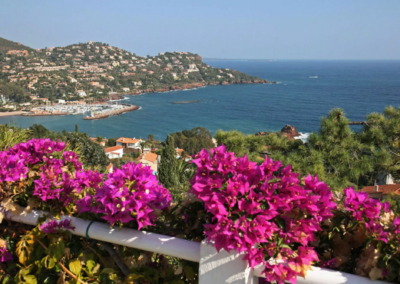 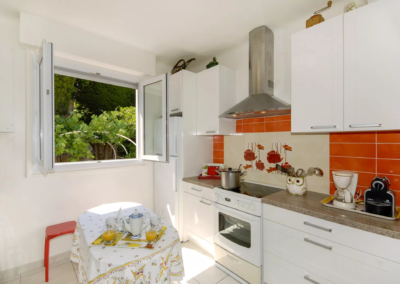 Just five minutes away is the hamlet of Miramar with a small grocer’s, set in the town of Theoule-sur-Mer. 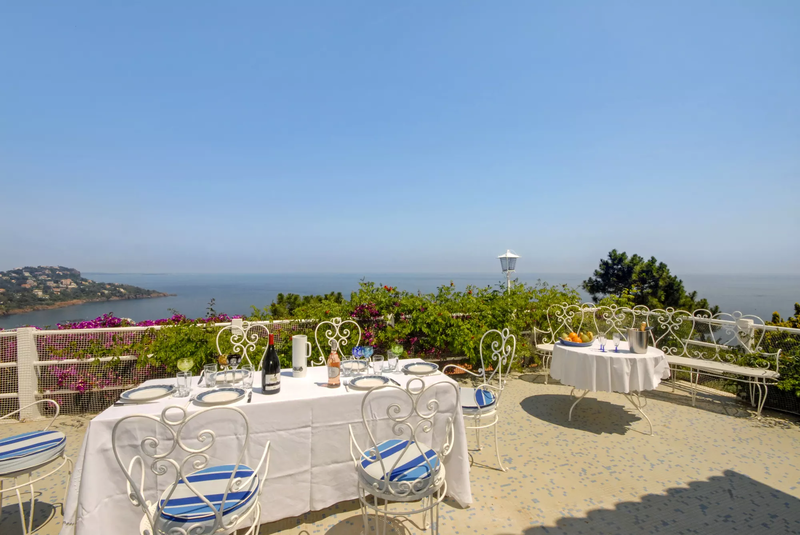 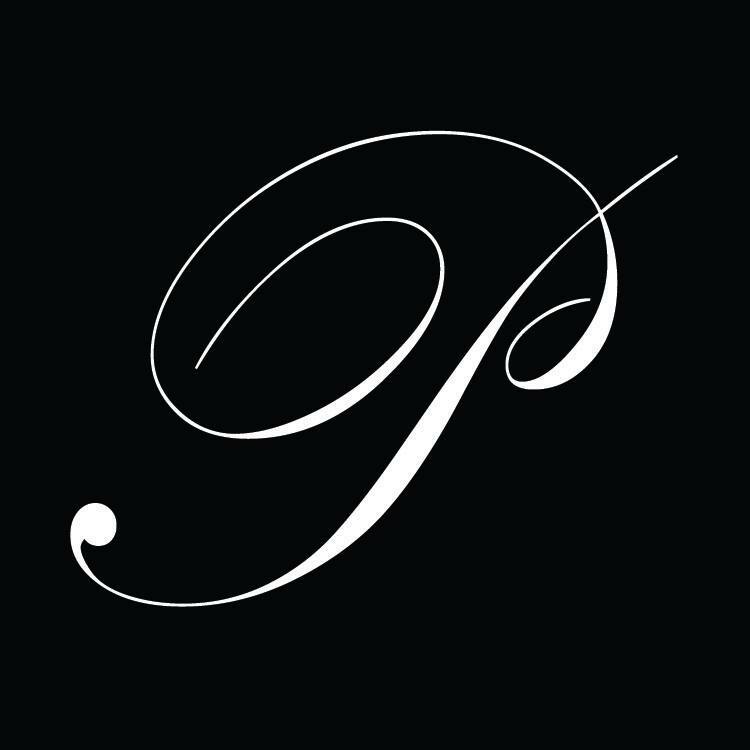 Here you’ll find a great selection of restaurants, local shops and stunning beaches. A little further you’ll arrive at the glamorous city of Cannes bursting with chic shops and pavement cafes to watch the wealthy and famous go about their day, and to the west of the villa there’s the lovely towns of St Raphael, St Maxine and onto St Tropez. 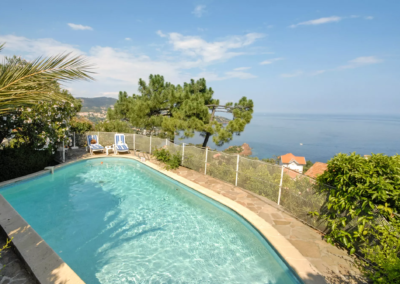 You really are spoilt for choice in this perfect location. 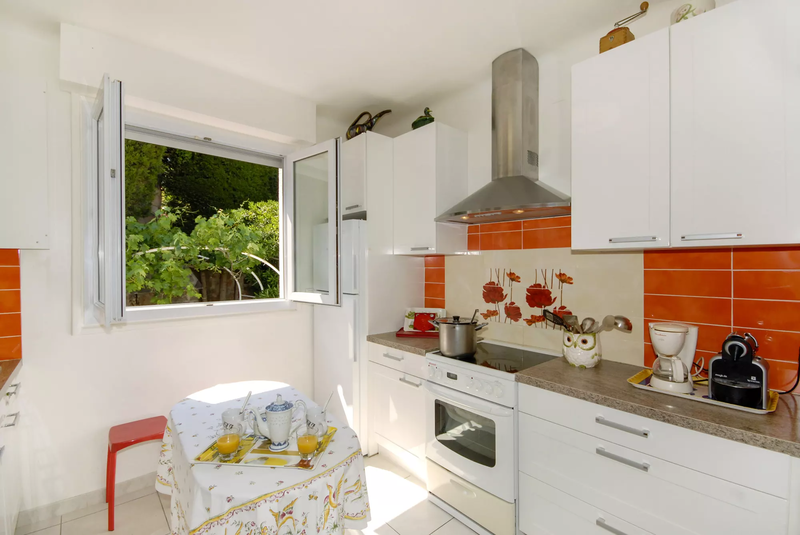 Fully equipped newly fitted kitchen . 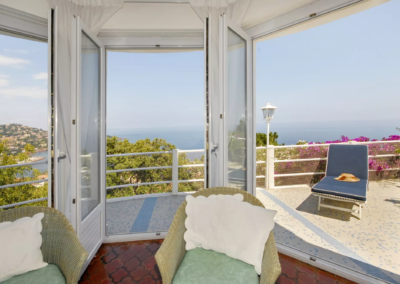 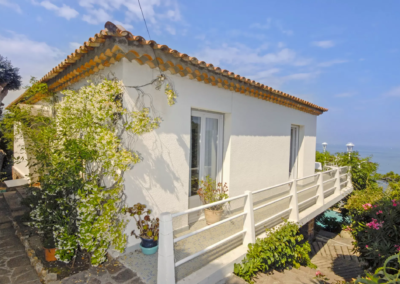 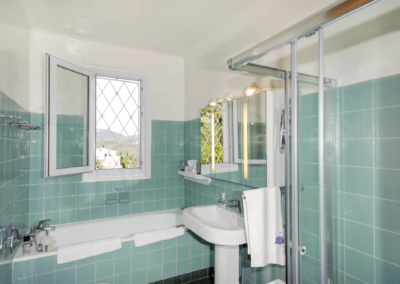 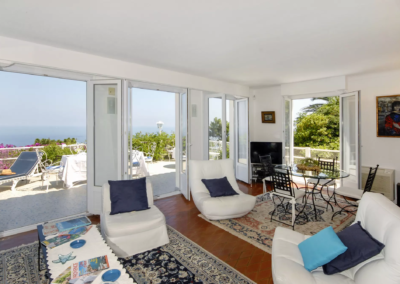 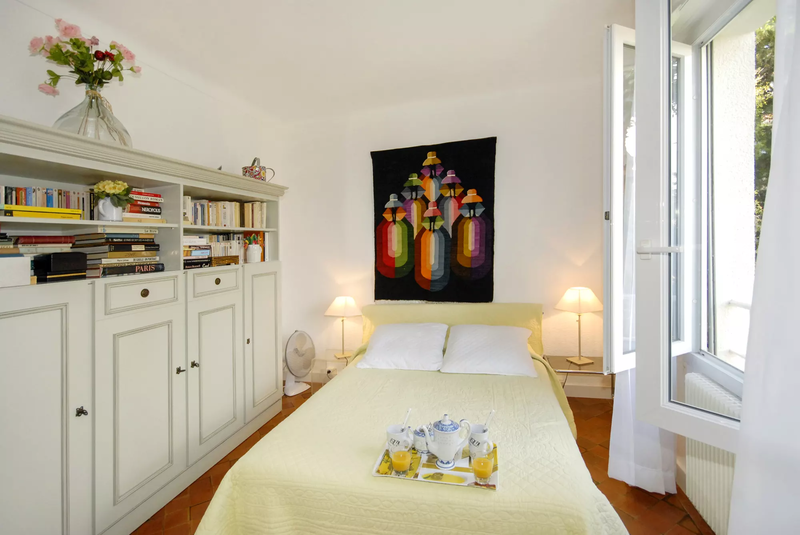 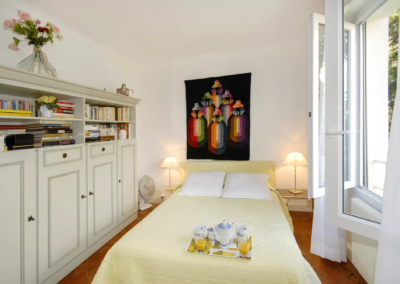 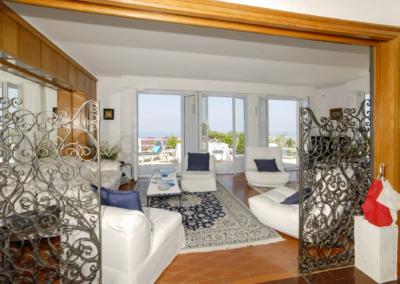 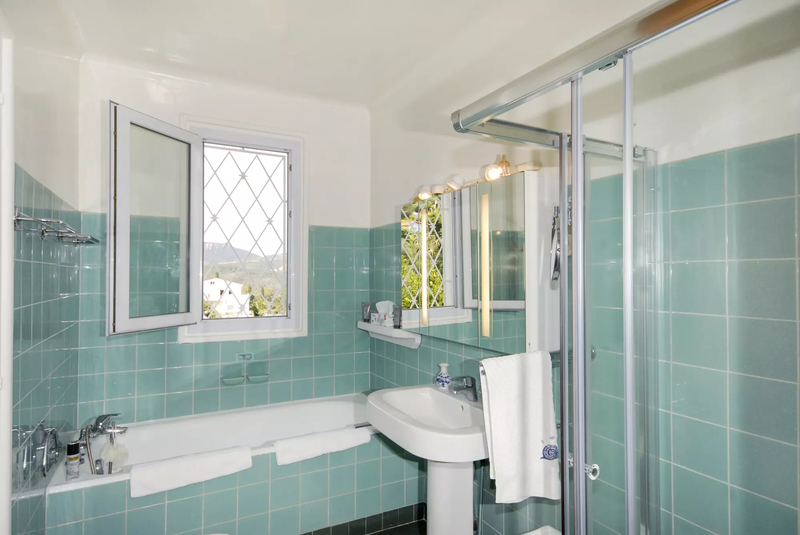 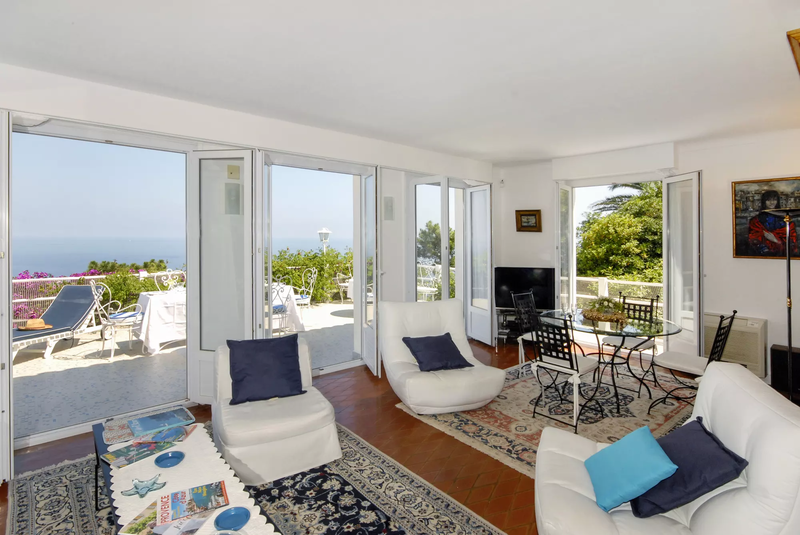 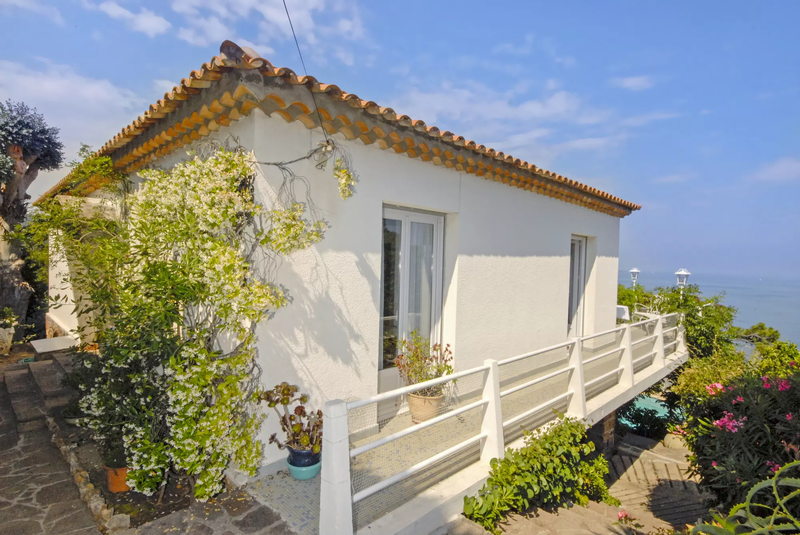 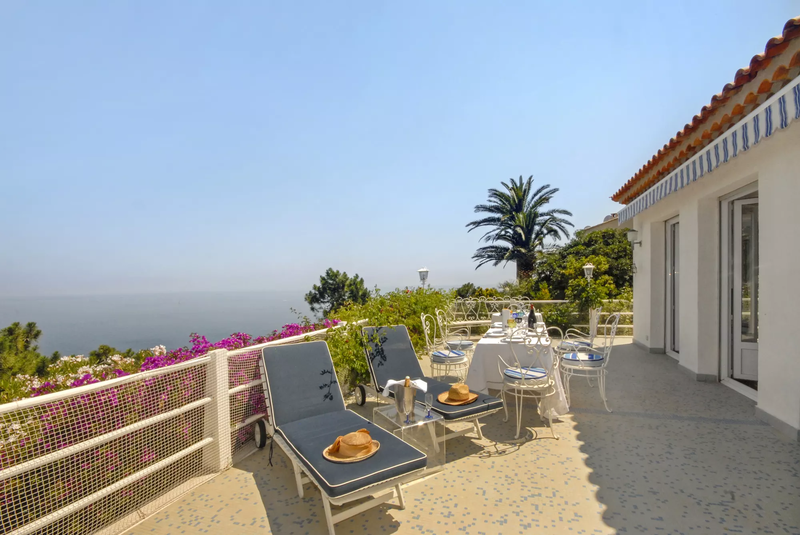 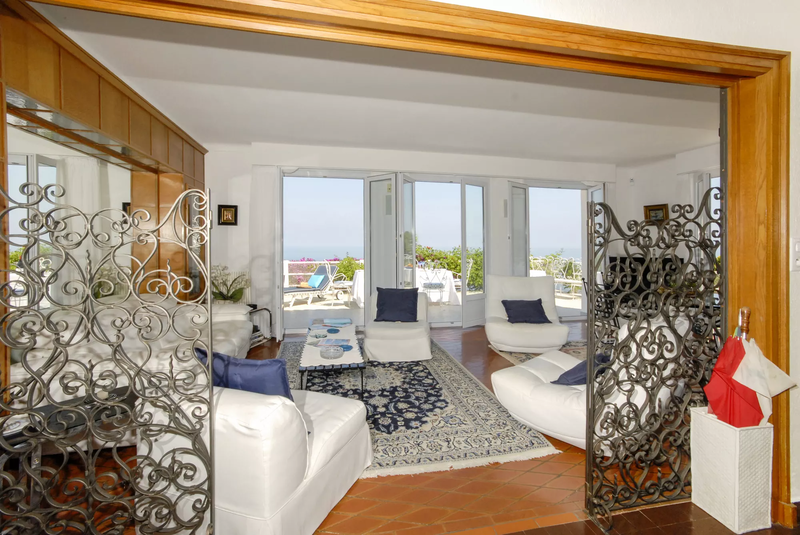 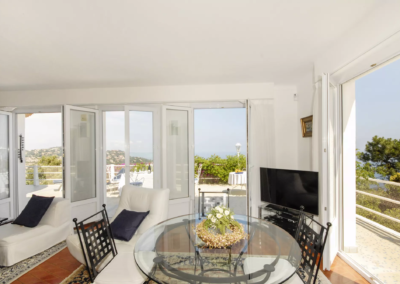 Master double bedroom (1.60m), 3 French doors onto terrace with sea views. 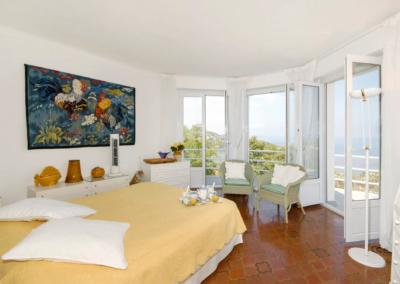 Double bedroom (1.40m), sea view. 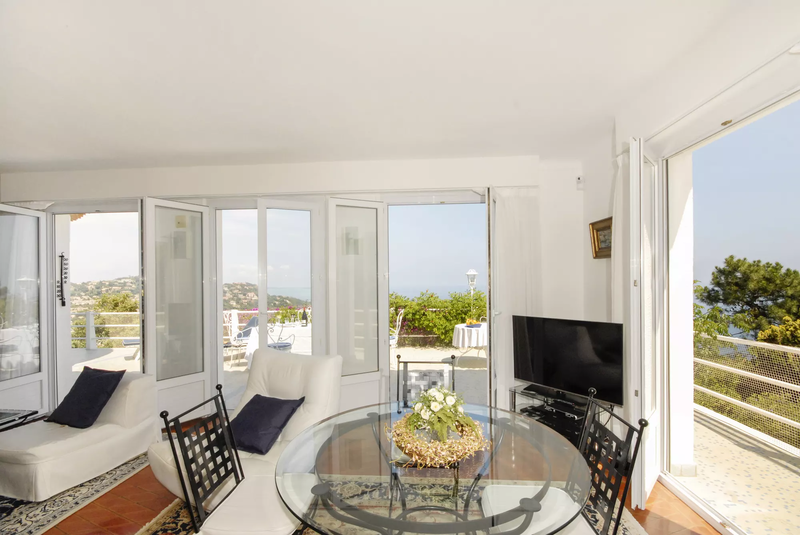 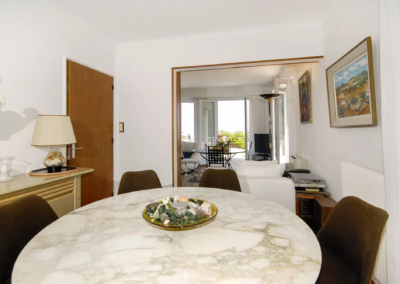 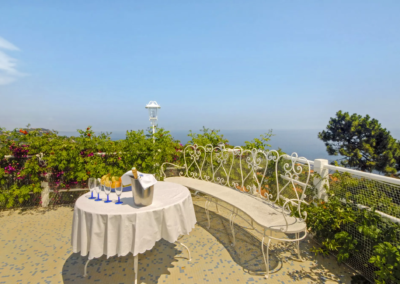 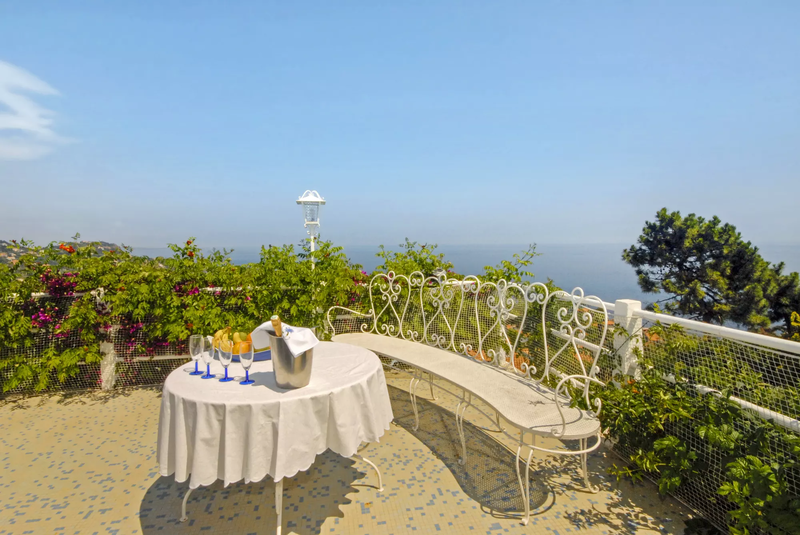 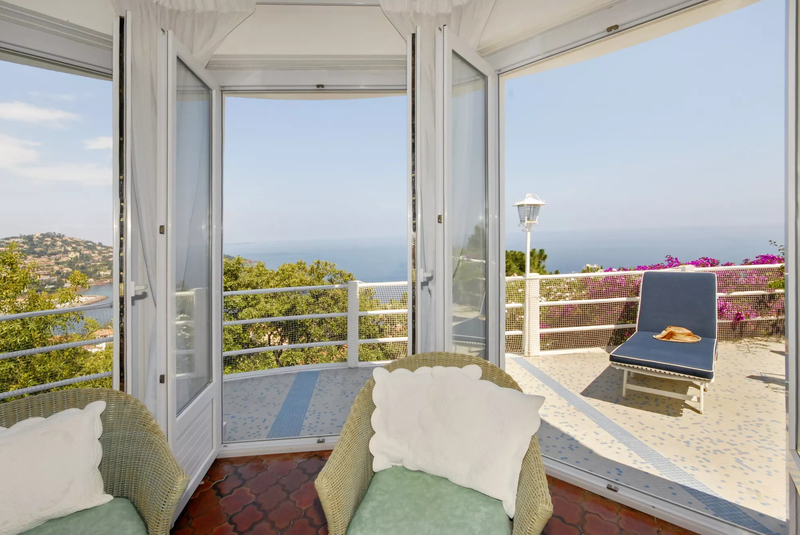 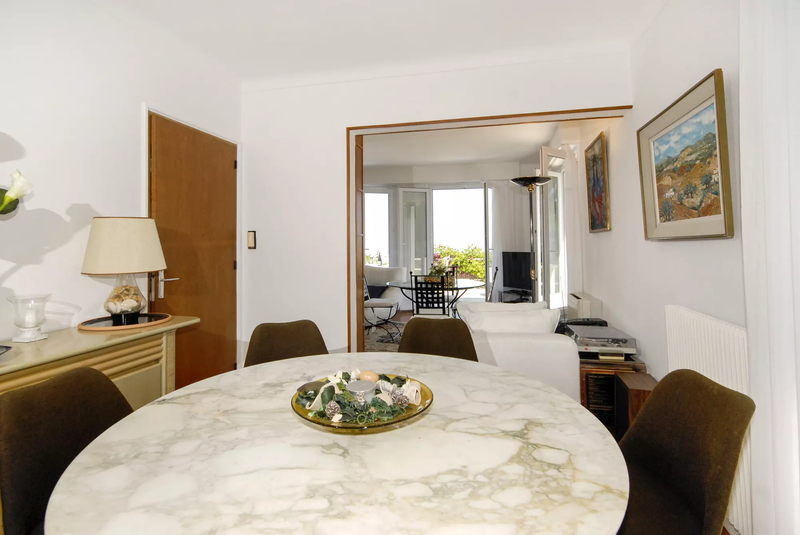 The superb ocean view and the closeness to local shops.